Police found the body of 18-year-old Miguel Angel Ruiz Carrillo in Nokesville, Virginia after the teen was missing for more than two weeks. Two more men were arrested and charged with murder in connection with the death of an 18-year-old from Alexandria, Virginia, police said. Police have arrested at least six people in connection with the killing of Miguel Angel Ruiz Carillo, an 11th-grade student at an alternative school in the Fairfax County Public Schools system. Tennessee officials pulled over 19-year-old Ismael Antonio Hernandez-Navarro Wednesday on Interstate 81. He was arrested and charged with first-degree murder. Tomas Antonio Pino-Mejia, also 19, was arrested Monday in Frederick, Maryland, without incident. He is also charged with first-degree murder. Police are continuing to investigate after a teen's body was found in a rural part of Prince William County. The teen had gone missing in Fairfax County. News4's Derrick Ward reports. Ruiz Carillo was last seen Aug. 3 leaving his home in the 4200 block of Buckman Road in the Alexandria section of Fairfax County. When he didn't come home by the next morning, his family called police. He was reported missing on August 8. 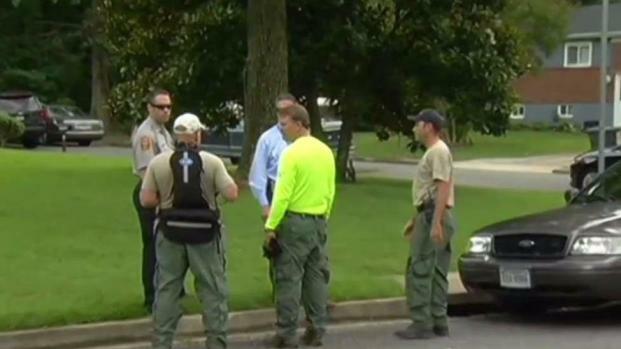 Police used cadaver dogs and helicopters in an extensive search of an area in Nokesville, Virginia "based upon information received during the course of the investigation," police said. Carrillo’s body was recovered near Nokesville Road and Fauquier Drive after this search. Fairfax County police previously arrested two adults in connection to Carrillo's disappearance: Jose Vincent-Sosa, 20 and Edwin Dinarte Moreno, 18, both of Alexandria. They also arrested a girl, who was not named because she was a juvenile. All were charged with abduction and gang participation. U.S. Marshals arrested 28-year-old Hector Armando Gamez-Amaya Sept. 3 and charged him with first degree murder in the Ruiz Carillo's death. Gamez-Amaya, a Georgia resident, was arrested in Gwinnett County, Georgia.